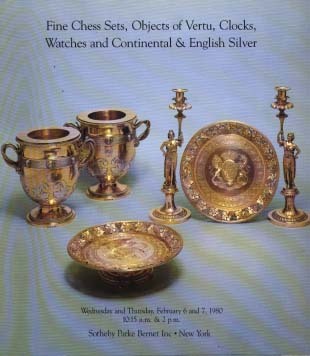 1980 Sotheby's Fine Chess Sets, Objects of Vertu, Clocks, Watches and Continental & English Silver, Sotheby Parke Barnet, New York 2/6/80. 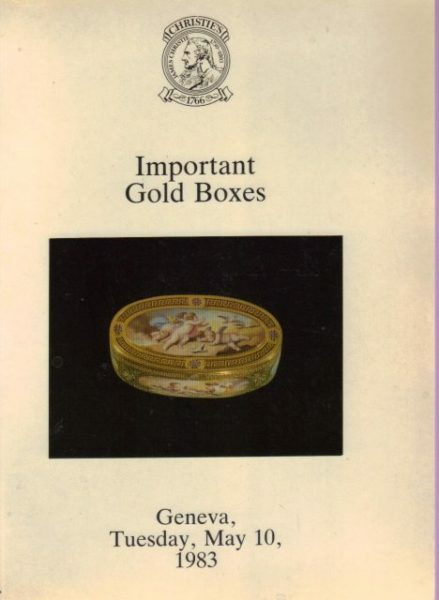 This post auction catalog consists of 811 lots, all illustrated, some color, with all lots described in detail. Catalog is in fine condition. 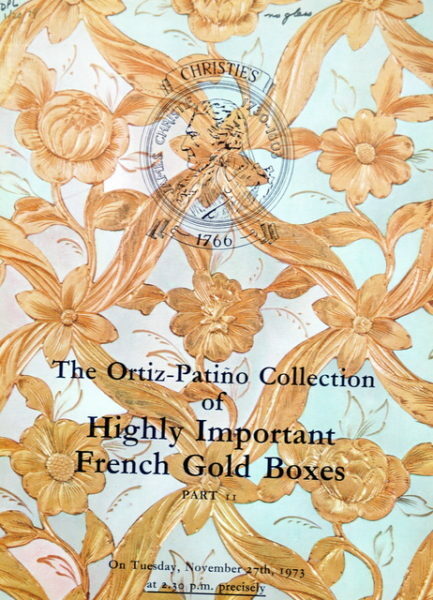 IH CHRISTIES THE ORTIZ PATINO COLLECTION OF HIGHLY IMPORTANT FRENCH GOLD BOXES PART II, LONDON 11/27/73 SALE CODE " PARADISE "